Before I made a commitment to my own health and well-being, I was a stressed out corporate executive using my yoga to keep me somewhat balanced. It took going on a yoga retreat, to a place I always wanted to visit, to reboot my life. I went not only because I needed a vacation, but also to find clarity and direction. My health was suffering, my heart was uncomfortable and I knew I had to choose a way of living that would keep me on the path to growth. Yoga retreats are offered all over the world. Choose a favorite place you love already or go to a place you're interested in discovering. Are you more of a city person or a nature person? A beach person or mountain person? If you enjoy exploring culture, arts and monuments, then consider places like Tuscany, Paris, or Spain. And if you enjoy being on a warm, sunny beach then choose to go to locations like Hawaii or Mexico. Equally, if you don't like bugs or humidity, don't go to the rainforests of Costa Rica. If you truthfully enjoy the comfort of high thread count sheets and a cozy bed, consider Sonoma, the San Juan Islands, or luxury retreat centers like Prana del Mar or Lumeria Maui. If you don't like camping, then don't go on a rustic retreat. Think about how exotic you want the location to be. Will landing in a country where English is not the primary language like Brazil or Greece make you uncomfortable? If so, then there are plenty of options in the US. You should also consider if you want the retreat to be dedicated to yoga or would you like other activities such as hiking, kayaking, skiing, etc. If so, then choose a location that offers diverse activity option. 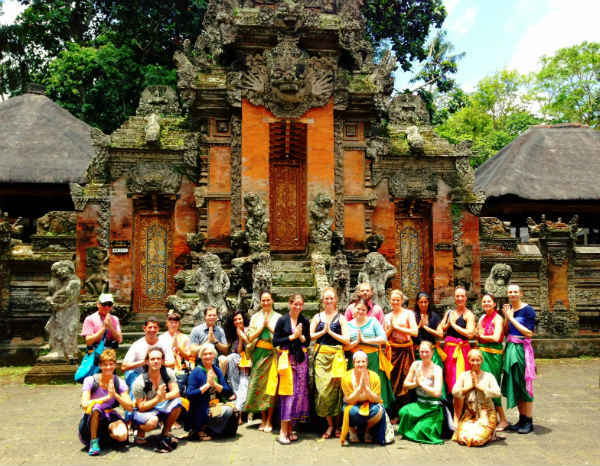 You should familiarize yourself with the teacher/s guiding the retreat, like how many years of experience they have guiding small group vacations and teaching yoga. Don't hesitate to ask for client testimonials. If you already know the teacher from your local studio or the workshop circuit, consider if this is someone you want to learn from while away from the studio environment. Do you feel safe, supported and cared for? Do you believe that they have more to teach beyond the 60-minute format? Has the teacher been to the location (see #1) before? What is their depth of experience with the culture, language, activities, of that retreat center, country and site? This is your vacation and you certainly don’t want to be guided by someone that has no more experience than you do either on or off the mat. What are you looking for? If the retreat is based on life coaching and personal growth but you are only looking for exercise and physical activity, then the fit won't meet your expectations. And if you are looking for tranquility but the schedule seems heavy with constant physical activity, then keep looking. Ask what your intentions are from this experience e.g., get your life direction in order, weight loss, let go of old emotions no longer serving you, make new friends, etc. Read the descriptions of the retreat themes carefully and find the one that most speaks to what you are looking for. The retreat's focus will bring together like-minded people so already you will find a sense of connection to others and that will enhance an already incredible experience. When it comes to how much you will be spending, It’s easiest to manage your budget if you look at retreats that are inclusive of pretty much everything except airfare. This makes it easier to be aware of what your total trip expense will be. It’s easy to overspend if your lodging and meals are not yet included in a retreat package. Don't let yourself get intoxicated by the cheapest price. There could be many reasons for this; for example, maybe the size of the retreat will be 50-75 clients all paying less. Also, in relation to trip cost, think about the length of your retreat. Are you looking for quality or quantity? There are ways to save money, ask to have a roommate arranged or check into group or dorm, living options as well as camping. You can choose anywhere from a 2-night weekend, to longer than 10 days. This flexibility allows some sort of getaway approachable for most people. Just don't assume that longer equals better. Sometimes, all we need is a weekend getaway to "reboot." If you want to plan for something 11 months from now, I applaud you. However, if things in your life are falling apart now, don't wait to start healing. Get happy now; seek retreat today. 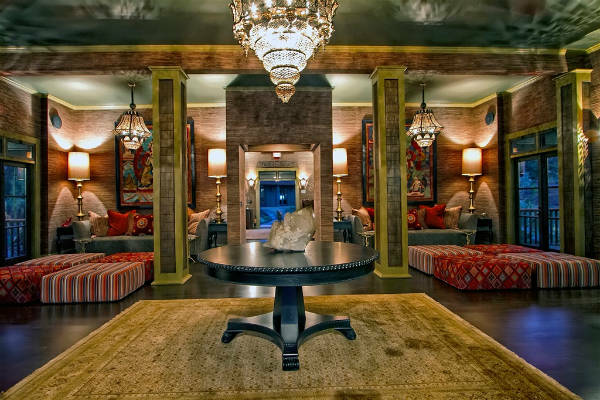 Do not apologize for wanting luxury on your yoga retreat. This is your vacation. There are 5-star luxury centers who offer the yogi with discerning tastes high thread count sheets, travertine tile, ocean front, private decks and patios, concierge service and gourmet cuisine. At the other end of the spectrum, you might also choose camping options in combination with hiking and yoga out in the wildnerness. There is something for everyone in between as well. Know yourself well enough to choose your best option. And remember “off-grid” doesn’t mean the same thing to everyone. Be sure to ask if this means no electricity or wifi, but more gracious accommodations or simply off the beaten path away from light pollution and other people. Be certain to ask about the minimum and maximum number of guests on retreat. If you get lost in big groups over 40 or 50 then choose a retreat that has a comfortable range, let’s say 10-15 people. Also if you are someone who is looking to grow friendships on retreat, and the retreat will run with even just 3 people, then be ready to choose wisely. The activities, besides the yoga, can also be influenced by the size of the group. A retreat can be like a mini "teacher training" because in 7 days, you’ll spend 168 hours together. Therefore, it is important to make sure you feel aligned with the style of yoga you will be practicing (Anusara, Ashtanga, Bikram, etc.). You should also make sure the level of yoga (beginner, intermediate, advanced, multi-level) meets your needs. For instance, if you want a sweaty practice but the itinerary only includes restorative yoga, set your expectations. Also consider how much yoga you will practice while on retreat. Some yoga holidays may offer only one class a day, while others offer 2 classes daily and mini-workshops, private coaching or yoga clinics. Also, align your retreat with how you define yoga. If your definition includes meditation, philosophy, chanting but the style offered doesn’t include what’s important to you, then keep looking. The best advice is to sign-up for a retreat through an organization that specializes in Yoga Retreats or go with an experienced Retreat Guide. You can then be assured that all of the groundwork has been done, and it is definitely comforting to know that the hosts can vouch for their retreats before you invest a ton of time, money and precious vacation hours. In applying these guidelines, it is important to know what you are saying YES to, as well as what you are saying NO to. Make sure that you are not basing your decision on what everyone else wants you to do, or even the availability of your partner. Do this for you. How do you best choose a yoga retreat? Choose based on what you want. From there, the foundation will be set for the best experience possible!